4 Celli. This is one of two settings Schubert made of this Goethe poem, and the title translates as “Song of the Spirits on the Water.” This setting is D. 538, in a major key, and arranged from the male choir original. 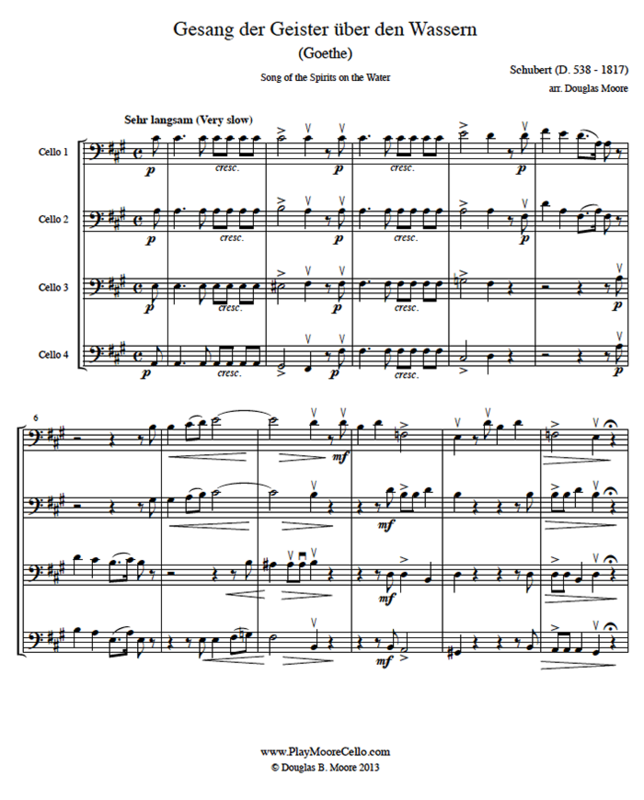 With nothing above 4th position and all in the bass clef, this is an ideal arrangement for a cello quartet or cello orchestra of intermediate players.